Dog Bites are more serious than most people realize. Bites can often be traumatic or even deadly. Moreover, there are also secondary complications to be aware of such as infection and the potential for contracting rabies, both of which can also be fatal. Dog owners are obligated by law to restrain their animals. They may be held responsible for attacks if you are bitten while legally on public or private property. The victim must establish proof that they were legally on the premises where the dog attack occurred, whether public or private. The victim must establish proof that the dog attack caused injury. If both claims can be proven by the victim, the defendant will then be held strictly liable for the initial injury as well as any subsequent and directly-related injuries or conditions. If a liable dog owner also owns a home, the owner’s homeowner insurance policy will likely cover the attack and related damages. Dog bites have the potential to cause serious physical damage, but the emotional toll can be just as severe. It is not uncommon for emotional and psychological trauma, such as PTSD, to occur in victims of dog bites. The damage may not be limited to the actual dog bite victim; parents who witness their child being attacked by a dog, for example, have also suffered emotional and psychological harm. Lost wages and future earning capacity. The most reputable dog bite attorney in Los Angeles is Kamran Yadidi, the founder of the Kamran Yadidi Law Group. Kamran Yadidi Law Group boasts an exceptional 98 percent success rate across more than 10,000 cases. Such success is due to our candid and honest assessment of your case, based on all of the details from our consultations—this selectivity drives our success and assures that we will not take on cases that won’t be worth your effort. We believe it is our duty to ensure that a case is legitimate before choosing to take it on. In avoiding hopeless lawsuits, we maintain our credibility and reputation as excellent advocates. Therefore, if we do take your case you will have the utmost confidence in our ability to get you the best possible outcome. 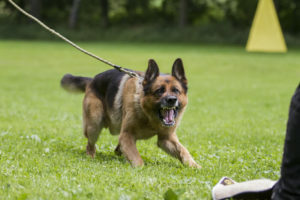 An outstanding dog bite attorney will have significant trial experience and know-how. The opposing side must know that if a case makes it to trial, they risk substantial resources and time. The opposing side must be made to believe that facing us in court is a foolhardy endeavor and that a settlement is the only option worth their time. Our abilities have allowed us to collect over $200 million on behalf of our clients, delivering them the compensation they deserve. Choosing Kamran Yadidi as your dog bite attorney gets you an experienced lawyer working for contingency fees. Unless we win the case, you do not spend a single cent on our services. If you or someone you love has been injured by a dog while legally on someone else’s premise, the Kamran Yadidi Law Group would like to hear from you. To get started, call us at the phone number above or reach out through our contact page.